There is a fantastic and memorable place in Manila that is very much worthy of exploration, it's no other than the historical Paco Park. However, in case that's not the kind of exploration you want, and you are rooting for something gustative, well you don't need to go too far! 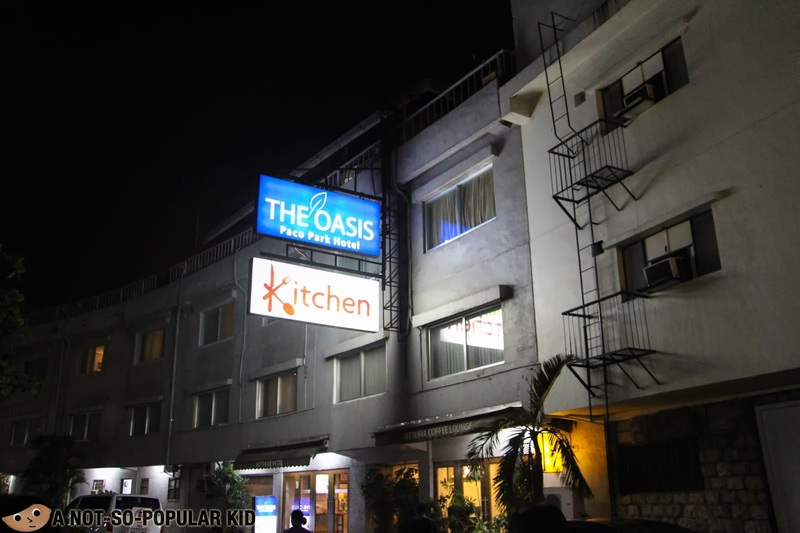 My Kitchen (housed in The Oasis Hotel) is just a walk away! 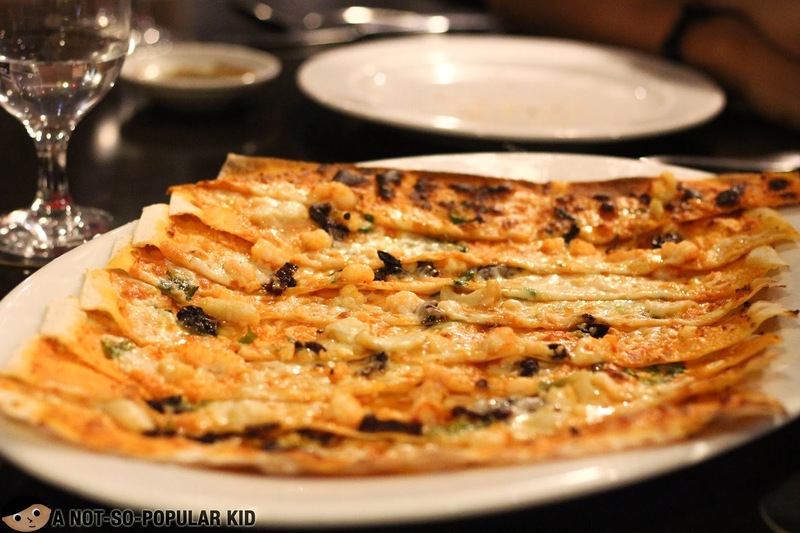 This restaurant in The Oasis Hotel is an Italian-inspired place serving the famous roll-up pizza by Chef Chris or commonly known as the Best Pizza in Town! 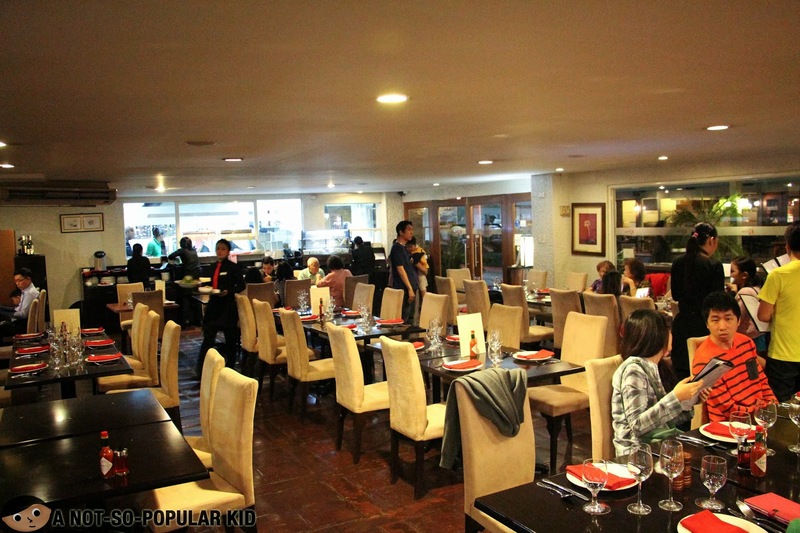 As you enter the restaurant, you will catch an air of quaintness and coziness exuded by the classy interior. Note: Reservation is highly encouraged to ensure accommodation. You don't want to waste effort visiting this place for nothing - that will be a clear loss of opportunity! 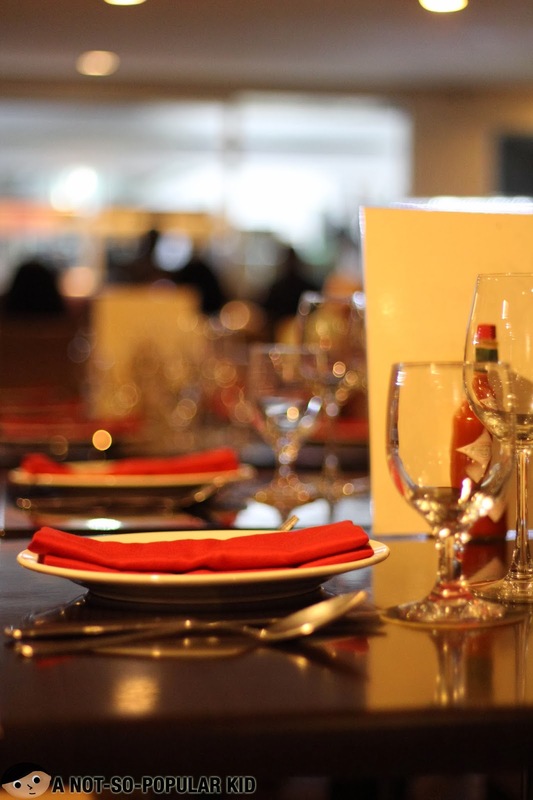 Judging from the ambiance, the place itself and of course the price, My Kitchen can be considered as a fining dining restaurant, so expect great service and food! I had a high expectation, but I wasn't disappointed. For our dinner, we just had three (3) amazing pizzas, one (1) risotto and one (1) soup! Before we begin, let's just check this photo out showing the people behind the amazing pastries and pizzas! 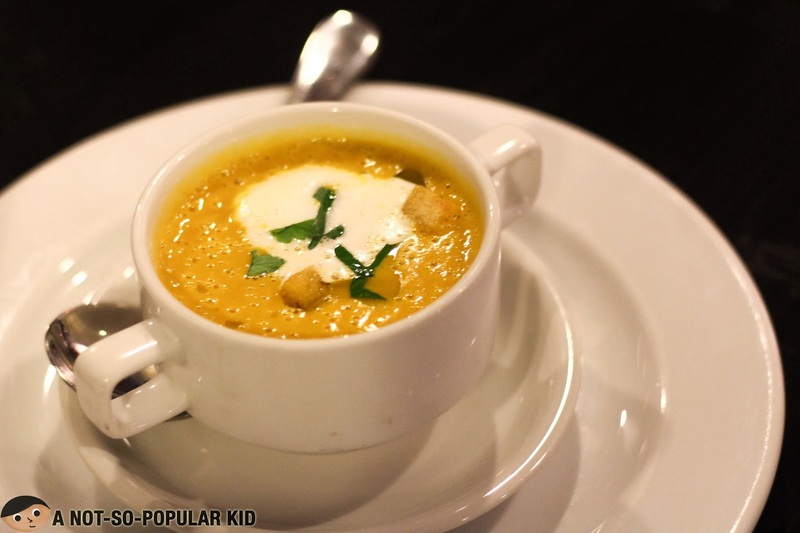 The pumpkin soup was thick creamy and consistent that created a beautiful sensation in the mouth. Also, it didn't have the greasy feel that enabled me to focus on the aromatic and tasty blend of pumpkin and carrot! The thin crust of the pizzas was not too crunchy that permitted me to enjoy the playful touch of the pizza sauce and the toppings. In my opinion, the edge of the pizzas in My Kitchen was the crust particularly its quality, taste and texture! I am telling you, it was exceedingly magnificent, and since, I once tried baking a dough for a crust, I know how hard it is to come up with this smooth and soft crust that will nestle all the abundant flavors! 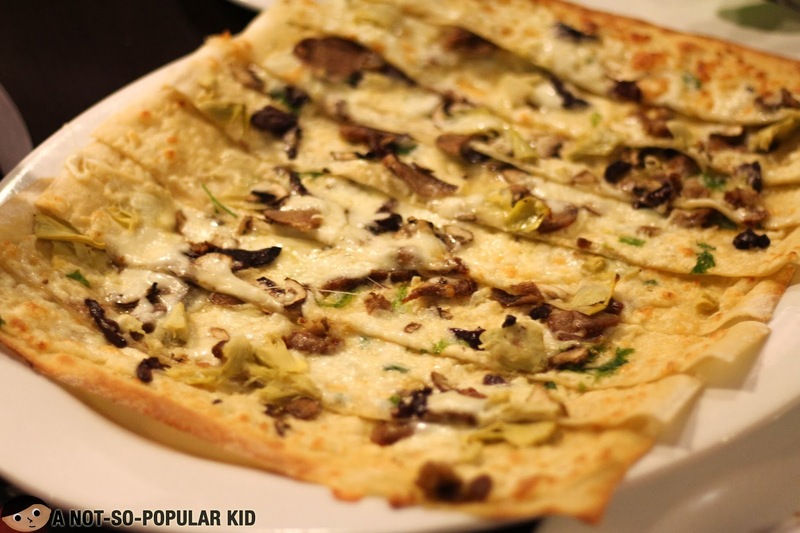 The Original Verena roll-up Pizza by Chef Chris Locher! This Original Verena was amazing just the way I wanted it to b,e making my first bite of it so magical and monumental! 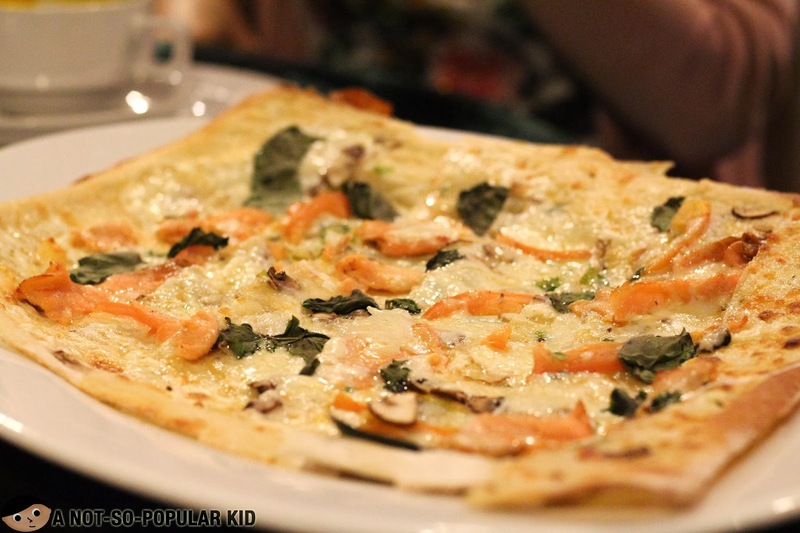 Truthfully speaking, I was able to taste a piece of Italy in this one! It was indeed the cheapest travel cost to be in Italy! 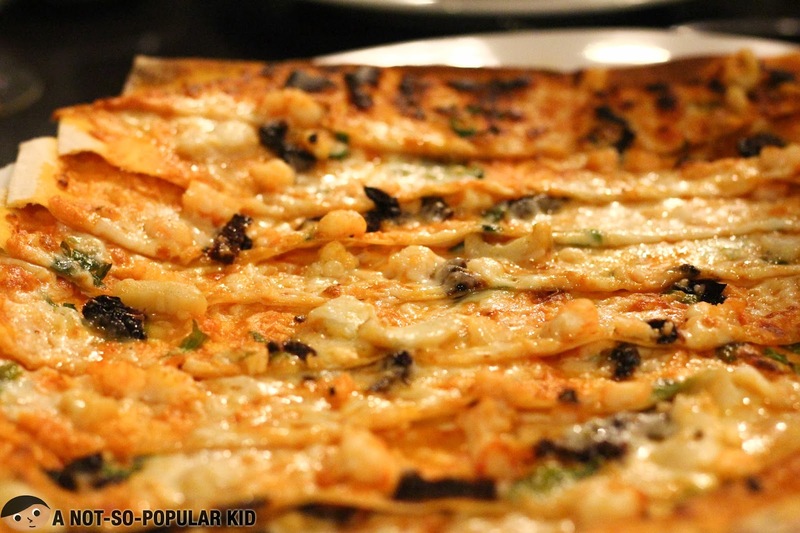 Tip: Add some chili oil in the pizza because the spice coming from it was ultimately complementary! 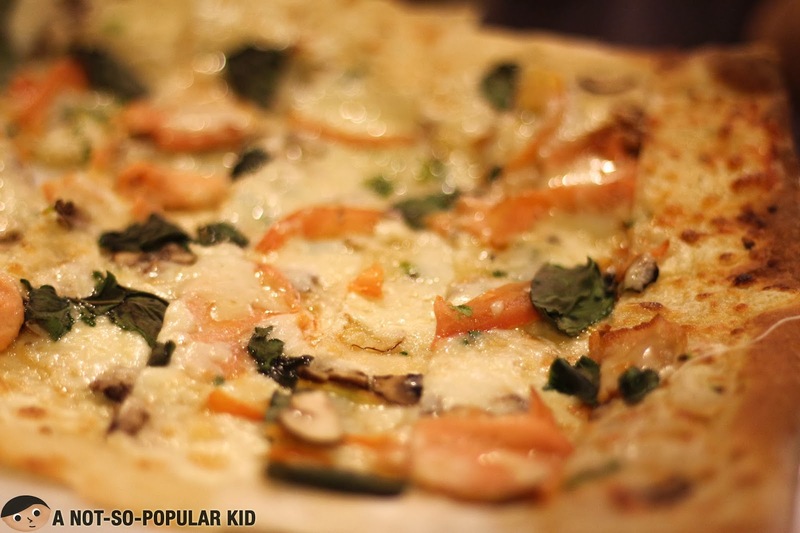 The Original Antonio pizza of My Kitchen - smoked salmon! The smoked salmon had a rather soft saltiness feature coming from the salmon and a herby taste from the basil. The resulting infusion was great but did not exceed the first one! However, adding the arugula and alfalfa sprouts while drizzling it with the chili oil didn't fail to enhance the existing flavors bringing out all the goodness of the fresh ingredients on this one! Exquisite and unique - Original Aura pizza by Chef Chris! This Original Aura was something new to me, but not necessarily fantastic at first. Honestly, I'm not used to the kind of taste it offered - a sharp sea-salty taste that almost tasted like a wine after (perhaps this was because I really found it foreign). However, something epic happened! 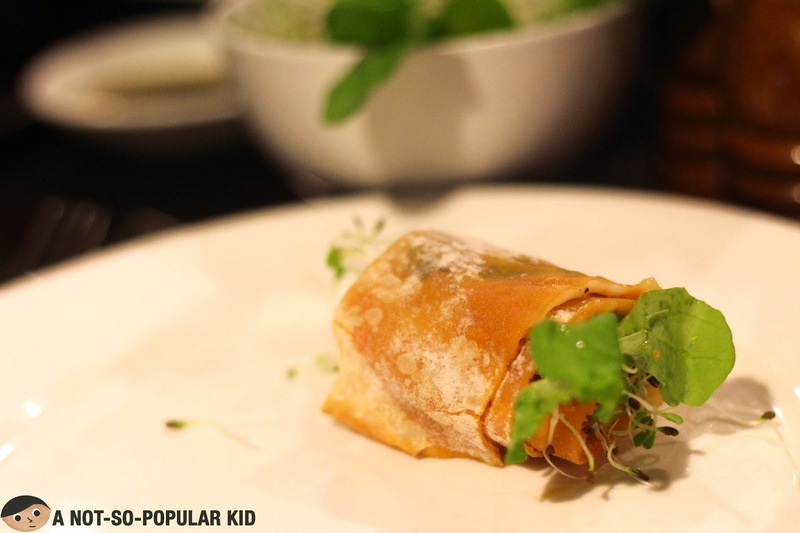 The aragula and alfalfa sprouts flaunted their magic once more that mitigated the sharpness of the taste. The result? Heaven! 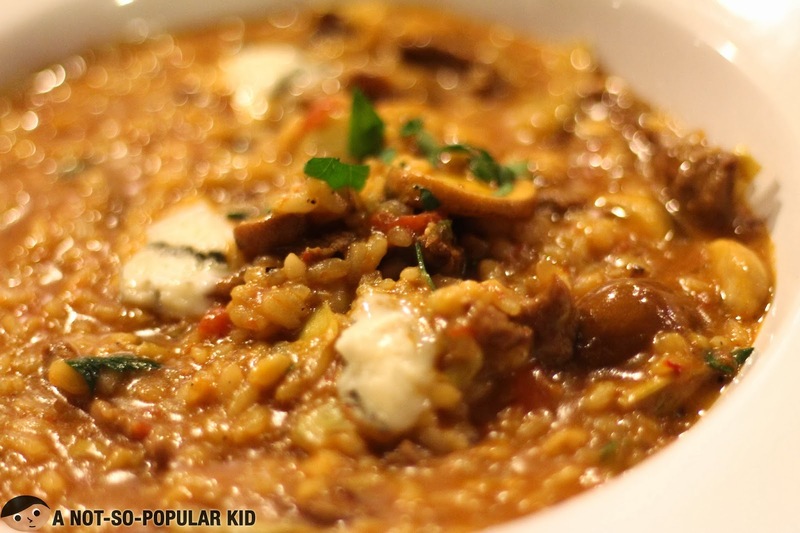 My Kitchen's Risotto Eurus - quality and taste near perfection! 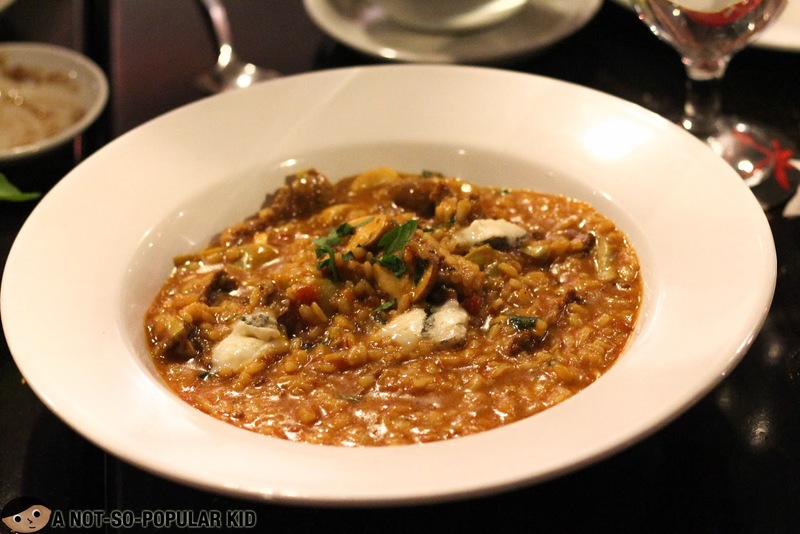 The Risotto Eurus had a near salty yet savory flavor wherein all the ingredients such as the beef and mushroom were tender translating every bite into a pleasurable moment. Due to this splendid adventure, the risotto of My Kitchen is potentially the best I tasted so far, but since I haven't tried a lot of Risotto dishes yet, I am not making it official. Note: Unshaded stars are equivalents of half-stars. 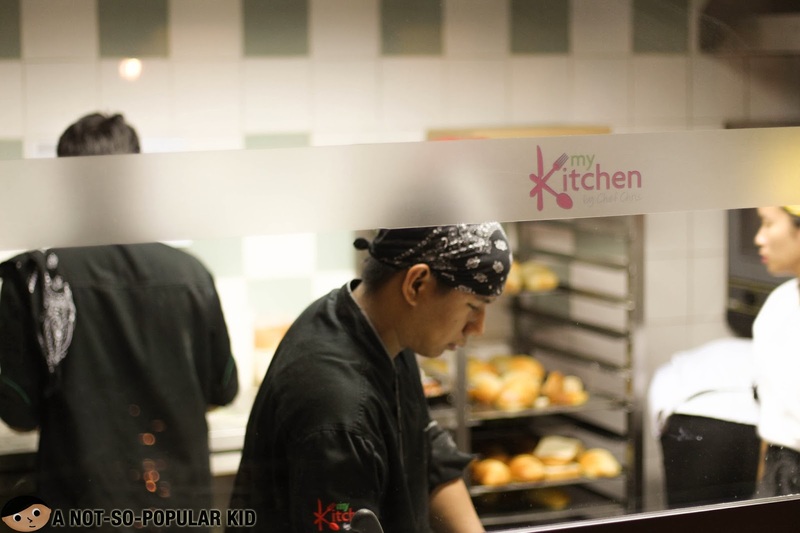 I would say that I was pretty much impressed by the dishes we had here in My Kitchen! 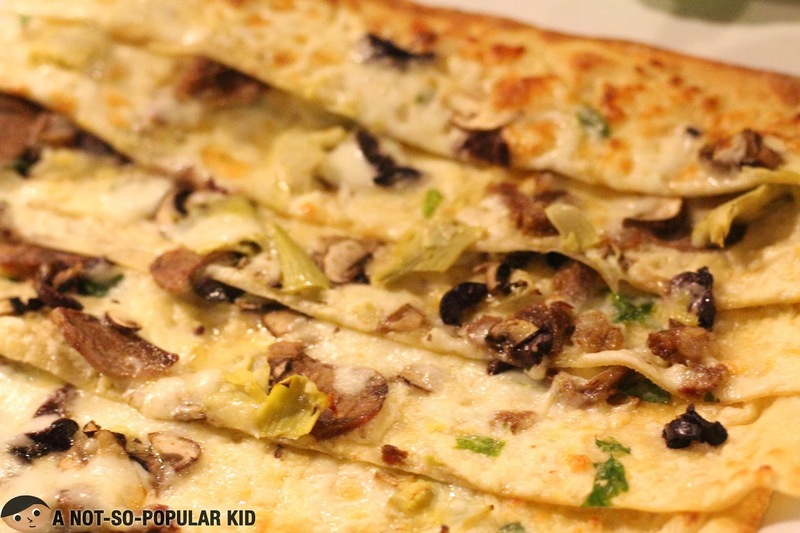 Being a pizza lover, I am proud to announce that I just found my Best Pizza in Manila to date! Actually, I find this potentially frustrating because each time I will have a slice of pizza, I may not be able to help myself but compare it with this almost perfect creation! Recommended? Well, definitely yes, but you need to prepare your wallet for it. Super curious about this place. Should go trek Manila soon! Yup, it will be a fun adventure Michy! I really fell in love with the pizza here in My Kitchen.